I am also entering this card in the Simon Says Stamp May Work It Wednesday. So there you have the final card for the Mojo Monday challenge....but definitely the final card using your sketches. 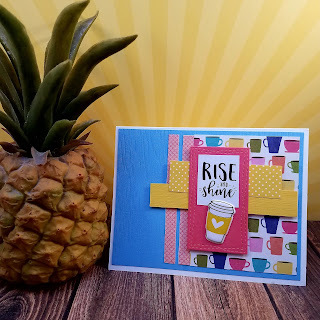 I am glad Julee will still be running Verve stamps which are the makers of some of the most beautifl, fun and uplifting stamps on the market. I need to start building up my collection of them. Thank you Julee for all you have done in the card-making industry! I wish you many years of prosperity in your business and in your family. Such a darling card, Sandi! Thanks for the sweet words of support. <3 And thanks for celebrating our final sketch with us!